Bring the horses, bring the cows! Beautiful property with too many amenities to list! 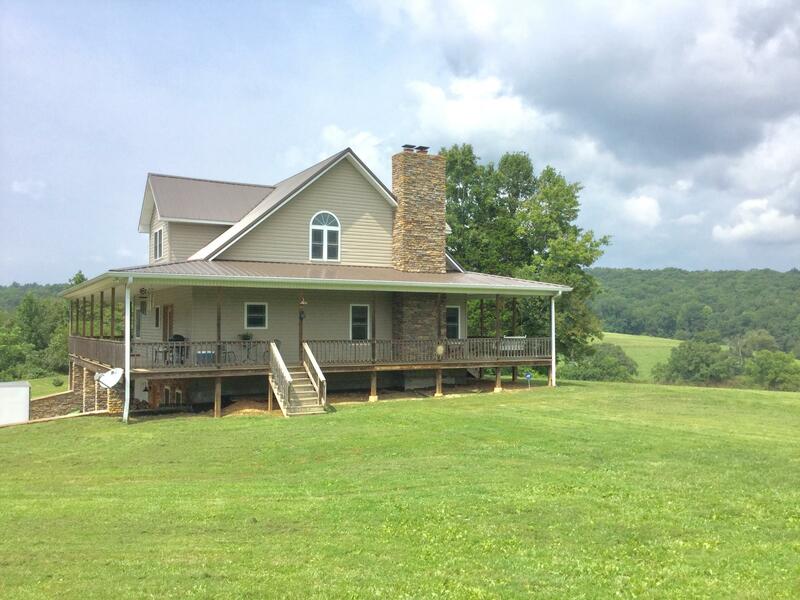 Beautiful home with wrap around porch set on 41 acres. Home has open floor plan, dining/livingrm. Large master bdrm with french doors to porch, his and her walk-in closets, full tiled double sink bathroom with jetted tub and walk-in shower all on main floor. Upstairs you have 2 bedrooms and full bathroom and office area. Downstairs includes entertainment room with kitchenette, full bath and work room. 3 barns, fenced, cross fenced, pond and creek. 2nd house, built in 1900's for guests or rental.